Microsoft has announced a new email platform Outlook.com.This is the new Hotmail, which is now called Outlook. Just go to Outlook.com and sign up for Outlook.com mail account. 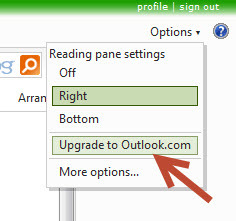 You can also upgrade your account to Outlook.com from Hotmail.com or Live.com email address. 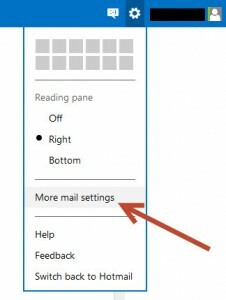 1.Click the Outlook options icon and select More mail setting. 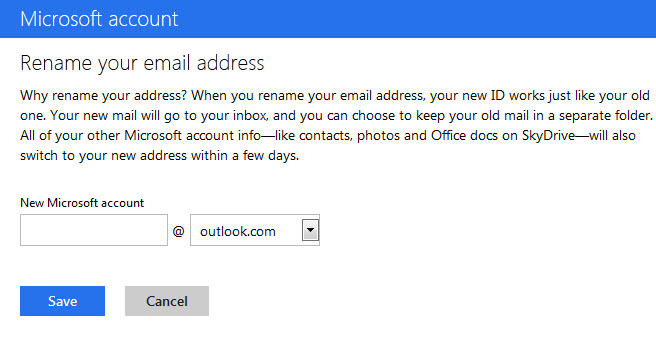 2.The select Create a Outlook alias under Managing your account section. 3.Type you address and click Create an alias. 4.select your Inbox or a new folder for your outlook address. Note: You will still receive email in your hotmail address. 2.The select Rename your email address under Managing your account section. 3.Type you address and click Save button. Note: When you rename your email address,Your new mail will go to your inbox, and you can choose to keep your old mail in a separate folder (Here two seperate mail address). All of your other Microsoft account info—like contacts, photos and Office docs on SkyDrive—will also switch to your new address within a few days.